This album is relentlessly captivating. The arrangements of the vocals, the instrumentation, the pacing and melodic construction make it tight as a celestial clock. This could easily be the album that takes Fiona Ross into the stratosphere. It is a culmination of all she’s done before—all of the hard work, the mastered craft, the galaxy of influences and discoveries within her own original voice—all moved into the album equivalent of fireworks display. 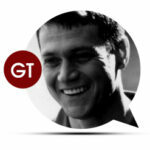 Guests promo video from Fiona Ross on Vimeo. Fierce and Non-Compliant The song is astonishing. Fantastic smokey Jazz from a New York basement bar in the 50s and 60s. Exquisite production—all that brass! Seriously takes the breath away. Don't Say is stunning. Delicate, languorous, gentle like sad reflection over a martini at the end of the night, but then the heart-yanking burst of passion, the emotion like a comet exploding with raw regret. It's beautiful. The arrangements continue to be unexpected, original, thrilling, and perfectly judged for the exquisite instrument of her voice. Really, really beautiful. Seriously beautiful. Just Tell Me When-- draws the listener in like an irresistible current in a stream of jazz, with salvos of Earth Wind and Fire touches that spark the listeners' spinal column and makes them sit up straight, then quickly get up and move, matched with the sensuous alluring percussion and the stunning layered background vocals at the chorus creating a tapestry of ebullience. It's playful, belying the despair, which is a delightful: a joyful cynicism that keeps the songs well away from ever becoming maudlin. I love the melancholy horn on For My Dad. A dazzling song—Ross lets her voice just take its time and expand in a transcendent hybrid of anguish and joy—and the raw emotion of the song, the magnificent belting comes out deep pathos. Doing My Thing—Marvellous, again! Brilliant instrumentation. Love the rollicking nature, love, love, love the backing vocals and the interplay with the lead. Playful and minxy. Be on my Side-- Melancholy yet playful, capturing that alluring thing she does that is Ross’s own— that electric sensuality and brave indomitability even in the face of despair. Feel—Beguiling. A seemingly slow meditation, but then Ross allows her voice to soar, and then another sonic surprise when the song erupts in that driving wall of horns--it's almost like a Bond theme. It's powerful and stunning. I Thought I Saw Your Heart--brilliant staccato pulse of a racing heart, a heart in the throes of that first passion, the first falling in love feeling that is exactly the same as the panic of an impending disaster. Ross’s voice matches the driving feeling, the reaching for heights, the expectations breaching pure joy, and then sinking down into--not sadness--but resignation, perhaps worldly wisdom. Again, the arrangements are tight and brilliantly judged, matching the expertise of the vocals like a form of musical science. Use The Right Words--bright, big, what would be the showstopper in any Broadway show. The indomitable diva delivery, belting with the clarity of a crystal timpani, then harmonizing with comfort of a caress. The tango of the horn and drum is virtuosic. Socializing with Misery--the noir-ish jazz of the irresistible dark alley bar variety. Again, the brightness, the ethereal soaring of the vocals capture the intelligence and drive and even mock self-pity. Here that sax really finds a home in native terrain. I Don't Want It—Here Ross’s voice has the time and space to expand, to explore the sound and feeling. And the helix of her voice and the brilliant bass, wrapping around each other, adding depth and meaning, the bass an anchor to the soaring combustion of her voice, allowing it to skyrocket, but bringing it back down to nest, the vocals becoming a delicate as filigree. This album leaves me awestruck. 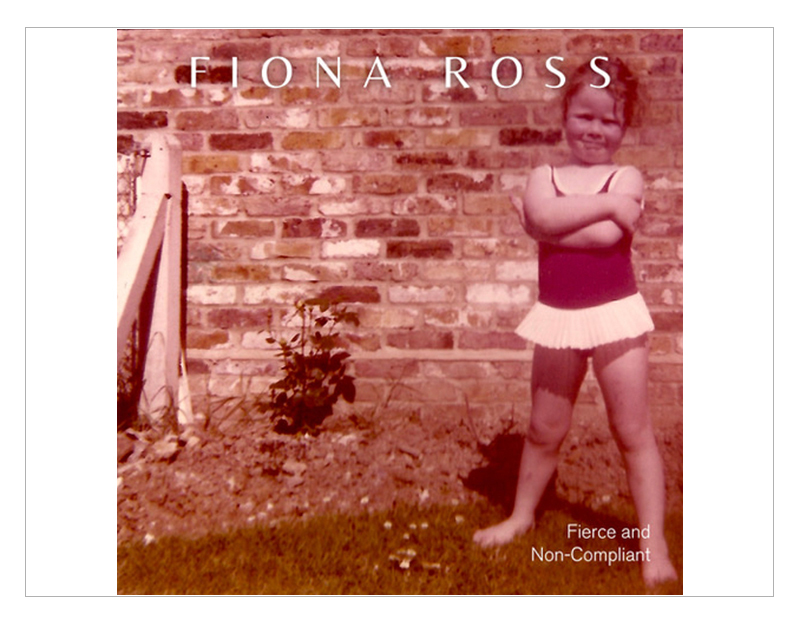 Fiona Ross has always been a force of ethereal talent, with perhaps the purest voice in jazz today, and Fierce and Non-Compliant is the apt title for an album that doesn’t hold back a scintilla of that power, that technical virtuosity and that raw emotional drive, of an artist at the height of her game.